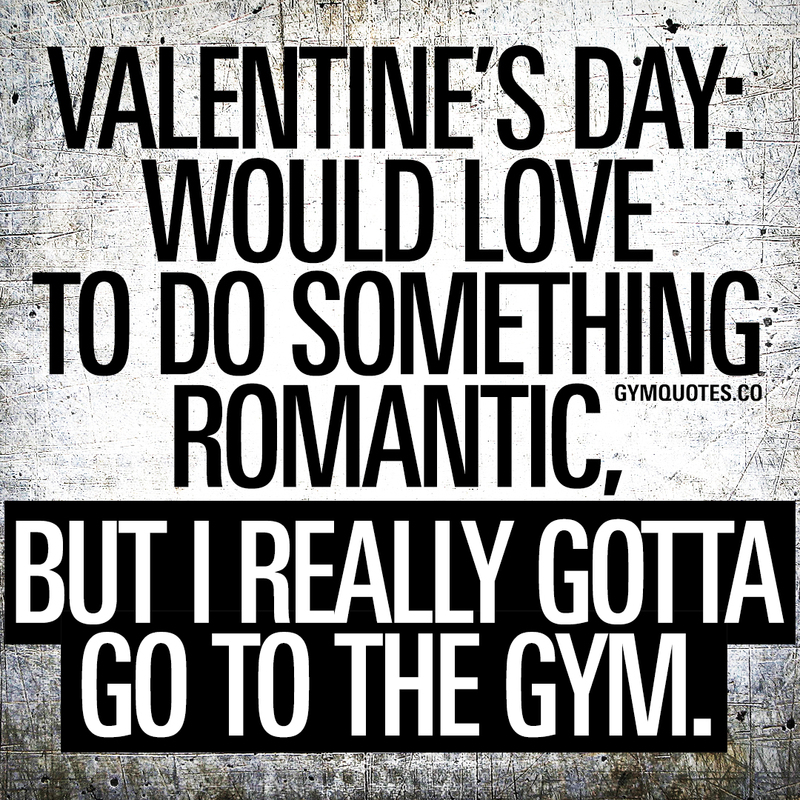 Valentine's Day: Would love to do something romantic, but I really gotta go to the gym. Enjoy this Valentine’s day gym quote and make sure you share it with someone if you like it! This Valentine’s day gym quote (image and text) is copyright © Gym Quotes 2019.